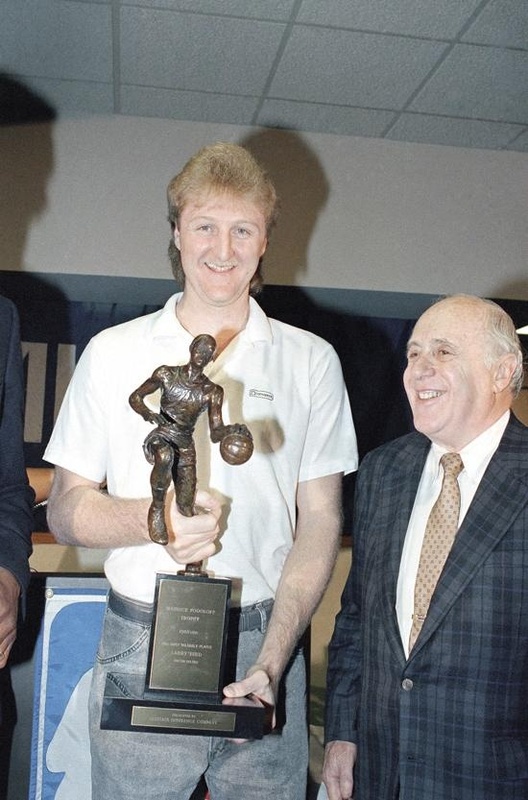 Larry Bird is known as one of the greatest players ever, and rightfully so. MVP awards and multiple championship have cemented his place as one of the all-time greats. He is even part of the era that resurrected the NBA and granted the league the opportunity to be once again relevant. His battles against Magic Johnson and the Los Angeles Lakers are considered one of the most epic games ever, with their rivalry being arguably the most well known in basketball history. Today we shall take a closer look at Bird’s game at why he’s aptly called Larry “Legend”. Bird may not be the fastest or highest jumper, but he certainly knows how to put the ball through the hoop. He can score from almost anywhere on the court, from inside and outside. He can play inside the paint with an array of post moves which he uses combined with his excellent foot work and strong body. From the outside, he has a smooth jumper which he can drill from almost anywhere. He is one of the deadliest scorers ever, especially when the game is on the line, a situation which he thrives on. Larry Bird not only uses his body to help his team win, but also his mind. He has an uncanny ability of accurately predicting the play as it unfolds. 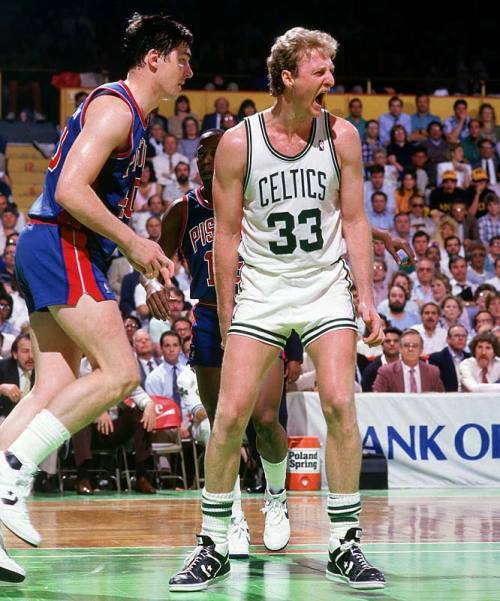 This extraordinary anticipation gives Larry Legend an advantage that few players are afforded. He not only does this on offense, but on defense as well. While he is not known as a great one on one defender, he is an excellent help defender and often comes out of nowhere to force a turnover. Perhaps only matched by Magic Johnson during their time together in the league, Bird’s basketball IQ is off the charts. This is one of the reasons why most people want to play with him. He not only understands what needs to be done on the court during every play, but he also understands what his teammates should do. He sets them up for open shots and sometimes he’s set himself up to be open in order to bail out the play. This is also one of the reasons why he was so successful when he became the head coach of the Indiana Pacers, where they almost beat the Jordan-led Chicago Bulls in the 1997 season, but came short in the grueling series which reached 7 games. On the offensive end, it’s not only his scoring that you need to watch out for but his passing as well. Just as we just talked about his basketball IQ, it’s because of this that he is able to make the perfect pass and set up his team mates. He is not as great as say, Magic Johnson, but he knows when and where to pass the ball to his team mates. This enables him to make his teammates better players than they should be, truly a mark of an all-time great. 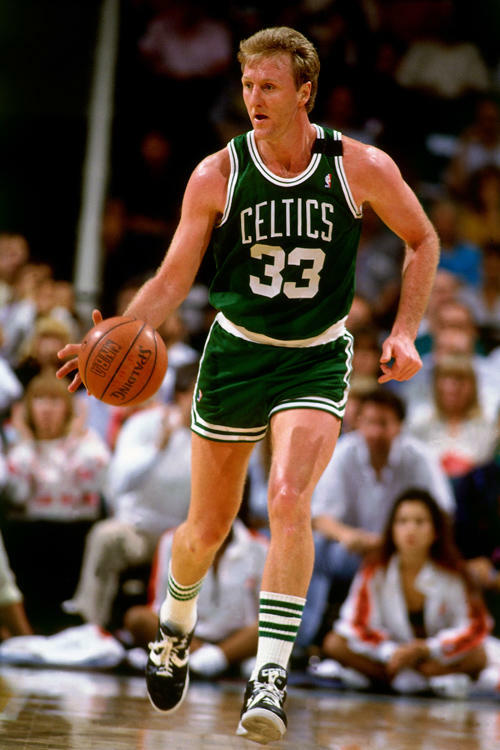 With a player like Larry Bird, you can’t judge him with his basketball play alone, you have to include the mental aspect of the game, and in this, only a few can match him. Sure, he can do almost everything on the court, but it’s his mental toughness and mindset that sets him apart from the competition. He could trash talk his way into another player’s mind and beat him even before the game has begun. He also has a cast-iron will which does not allow him to accept failure against all opponents, whether it’s an opposing team’s 12th man, or other superstars. 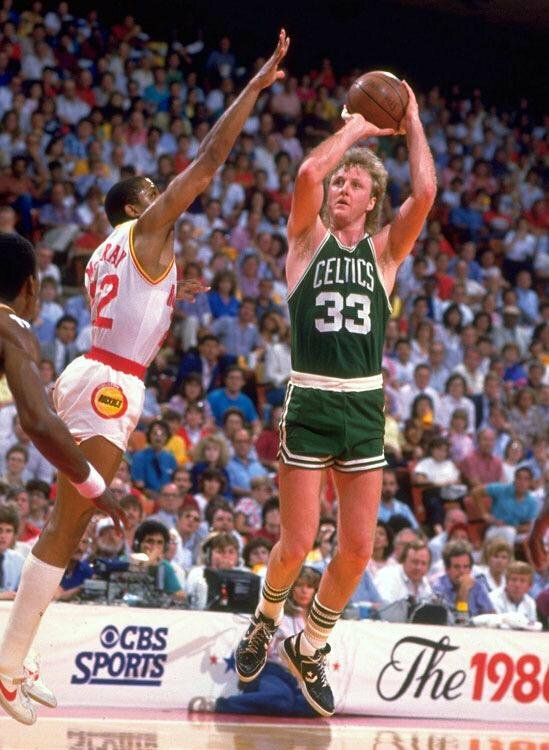 Larry Bird is such a generational talent that you will struggle to find someone that has a similar game. Dirk Nowitzki has been compared to him sometimes, but it is mainly due to their similar size and shooting range. Bird can do it all in the basketball court, offense or defense. His basketball knowledge knows no bounds and his competitiveness what basketball players want to find with their leader. Magic Johnson said it best, there will never be another Larry Bird.